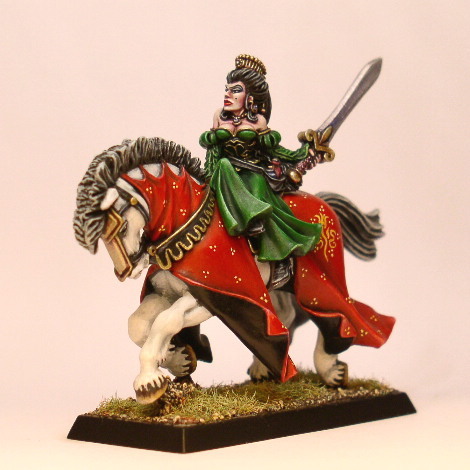 This model is painted in a classic colour scheme using green and red. However, where I had lots of nice detail to work on when painting the lady's dress the horse barding gave very few clues on where to put the highlights and shading. Therefore, I added the simple three-dot pattern on the barding to draw the eye from the simple highlight and shading - and example of the figure painter's "horror vacui" and the countermeasures to overcome it.